Kids can go on a visual tour of the prehistoric world, exploring the plants, the reptiles, the swimmers, the flyers, the dinosaurs, the mammals, and more in this comprehensive and fully updated visual celebration of prehistoric life. DINOSAURS is not simply a catalog of facts-it is a visual celebration of the history of all life on Earth, with a special focus on dinosaurs. 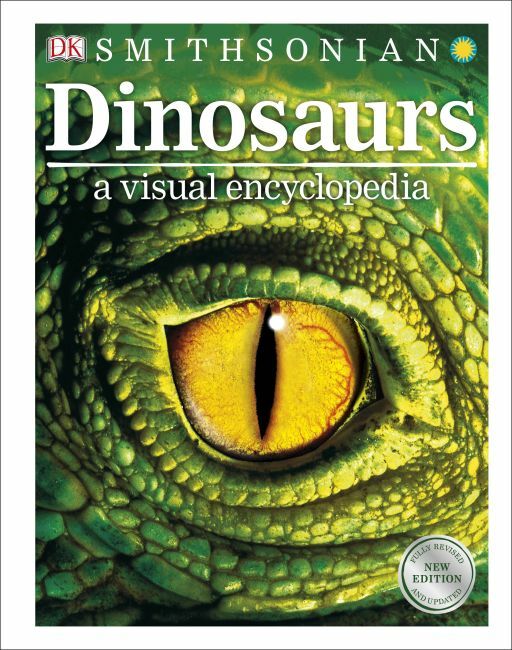 It features more than 100 dinosaur species, many illustrated with exclusive, brand-new artworks. The new images vividly reflect the very latest research into what these prehistoric creatures looked like, including stunning new discoveries about feathered dinosaurs. Material is organized by category of animal: invertebrates, early vertebrates, dinosaurs and birds, and mammals. DK's award-winning Visual Encyclopedia series is much-loved and trusted by children, parents, and educators alike. It covers key subjects, from space to geography to the arts, making them accessible for a range of readers. Expert contributors, authoritative information, and full-color photography combine to make every book in this series an unbeatable package.